The Bank Holiday weekend saw the England Ladies arrive at what has become an annual event at The Court Pool Club in Peterborough. The weekend consisted of two matches against Cambridgeshire and Region 4 along with Internal qualifiers for the England players to secure a place in the 2018 European Championships to be held in Malta. The first match against Cambridgeshire was played in a great spirit resulting in an England win by 26-10. In a very loud and well supported second match Region 4 got off to a great start leading 4-0 but unfortunately this was not to be their day with the final result being 35-13 to England. Special mentions go to Anne Louise Arkle and Katie Martyn who went undefeated in both matches. 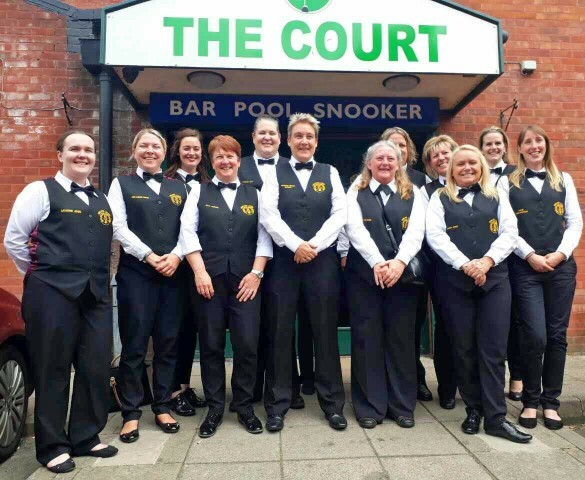 The England ladies would like to thank all the staff at Court Pool Club for looking after us and making for another fantastic weekend, also thanks Liz Disney for organising the smooth running of both matches.